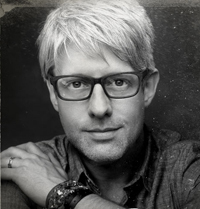 Recording artist Matt Maher will headline the fifth annual AbbeyFest, a music festival that will take place on the grounds of Daylesford Abbey (220 Valley Road, Paoli) on Saturday, Sept. 15. The all-day festival, which begins at 11 a.m. and ends at 9:30 p.m., celebrates the Christian faith through musical performances and family-friendly activities. Building 429, Oscar Rivera, 7eventh Time Down, the Rhett Walker Band, OBB and FireHill Worship will also take the stage. The festival will include a celebration of the Mass, as well as food, games and religious vendors. The gathering is a collaborative effort of St. Norbert Parish in Paoli and Daylesford Abbey, whose Norbertine priests have staffed the parish for over 60 years. For more information and to purchase tickets, visit http://www.theabbeyfest.com/.